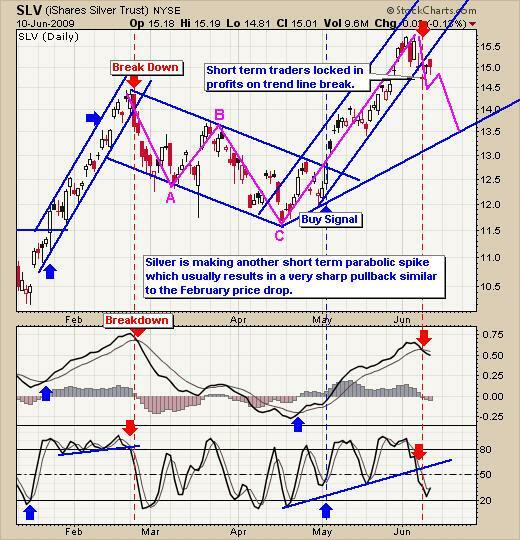 Commodity Markets, Gold, Silver and Oil- What to do Next? With so much happening in the market, emotions flying high and from being blinded by fear and greed many investors are wondering What do I do now? The US dollar has had a massive rally considering the United States is in serious trouble. My thoughts are investors bought the USD as the entire planet started to crack thinking it was a smart investment. Which is could be a great play for the long term but I plan on covering that next week with monthly chart analysis for all these commodities. I have heard a few analysts on CNBC say the US Dollar has broken its down trend. The question I am wondering is: What time frame are they looking at? The daily chart looks strong but if you zoom out and look at the weekly or monthly chart, we have not even made a higher high yet. Everyone sees the market differently that’s for sure. 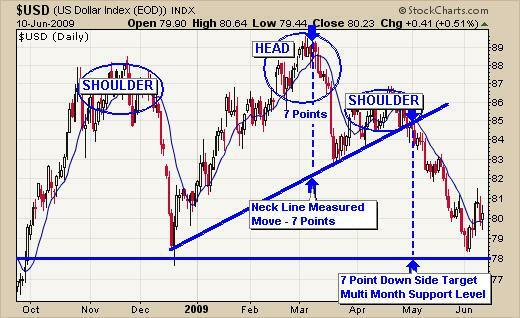 This chart shows a perfect head and shoulders pattern which made a text book breakout. To keep this report short and to the point, the USD is at support and I expect we will see a rally higher to the 84 – 88 levels which would complete a larger head and shoulders pattern on the monthly chart. A breakdown from the monthly head and shoulders would most likely start the next major leg lower. 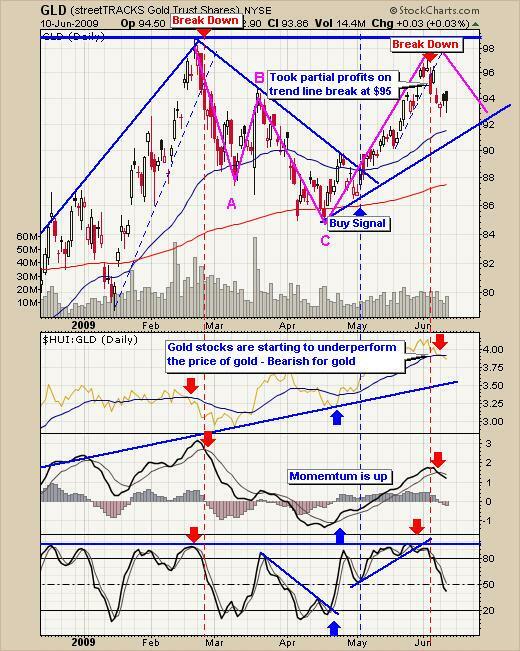 The USD could rise here, thus pull the price of gold and silver down temporarily and that is why I have locked in some profits on these commodities. Gold is currently pulling back from resistance and in my opinion forming the right shoulder which will complete this reverse head and shoulder pattern. Last week I took some profit on my gold position and currently hold a core position hoping prices will hold at my next support trend line. If prices breach that level ($91) then I will exit the balance of my position and wait for the next low risk setup. Silver is in the same position as gold. I am expecting a pullback for a re-entry. Oil has been on the run since May. 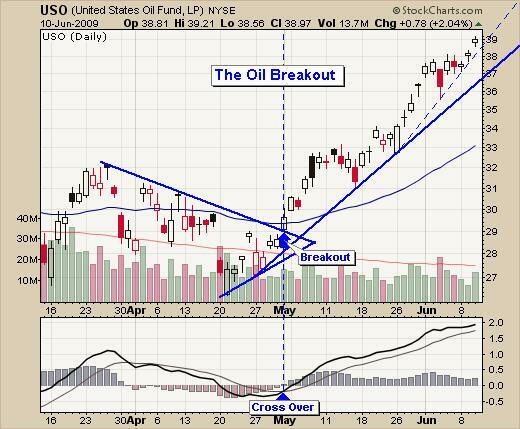 Oil had a near perfect breakout/buy signal (Risk was over my 3% risk setup) but many traders took advantage of this signal and are now experiencing massive gains. Tighten stops to lock in some profits and let the rest ride until the next support trend line is breached which will provide more wiggle room for oil to take a breather before moving higher again. Last week I provided the weekly charts with analysis of all these funds. UNG was the one that really looked exciting. On the weekly charts its very similar if not identical looking to the price action that oil had before it sky rocketing. This chart looks like a spring coiling tightly and getting ready to explode. Only time will tell but keep it on your trading platform! In short, the US Dollar is trading at support and could be starting a nice rally to form the second shoulder which can be seen on the monthly chart. If this happens I expect gold and silver will have some selling pressure. Oil continues to rally and short term traders should be thinking about tightening their stops to lock in some gains on the first sign of a reversal. 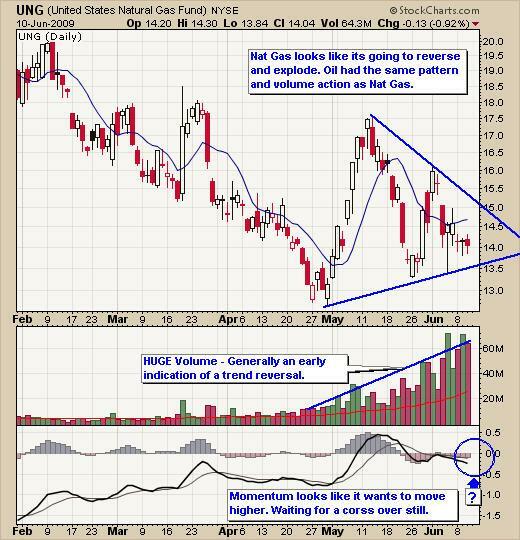 Natural Gas looks locked and loaded for a big bang. I’m waiting for my signature setup before jumping onboard as it helps improve the odds of the trade going in my direction after I enter a position.